Kaja Dahl is one of the selected artist and designers to represent Norway at Salone del Mobile for this years exhibition production of Norwegian Presence. 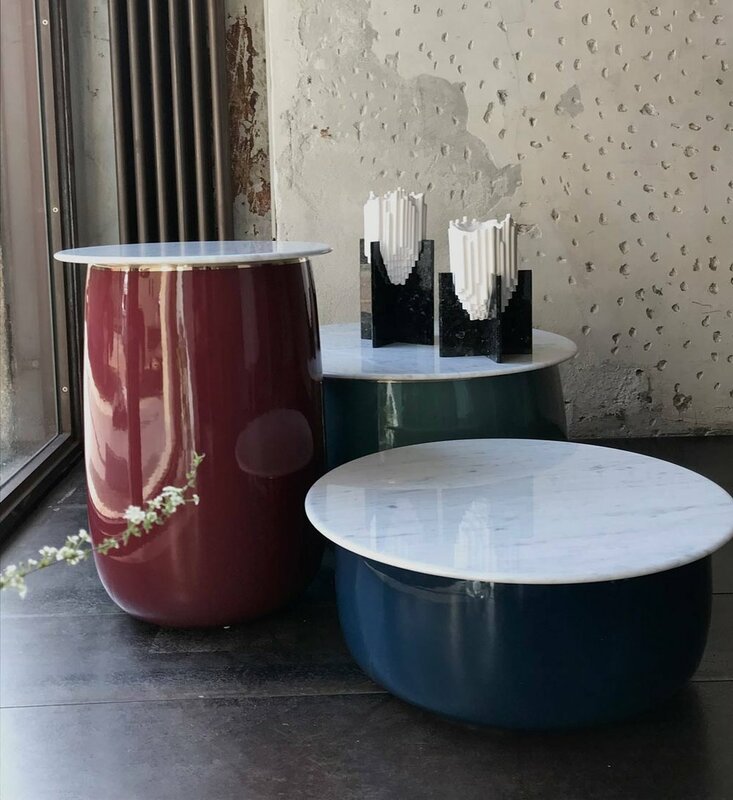 Atelier Kaja Dahl is showing 6 new vases in collaboration with Lundhs Real Stone made for the 1000Vases exhibition in Dubai during the Dubai Art Week 2019. Kaja Dahl is teaching the workshop “Sanselig måltid”/“Sensory meal” at the Oslo National Academy of the arts. 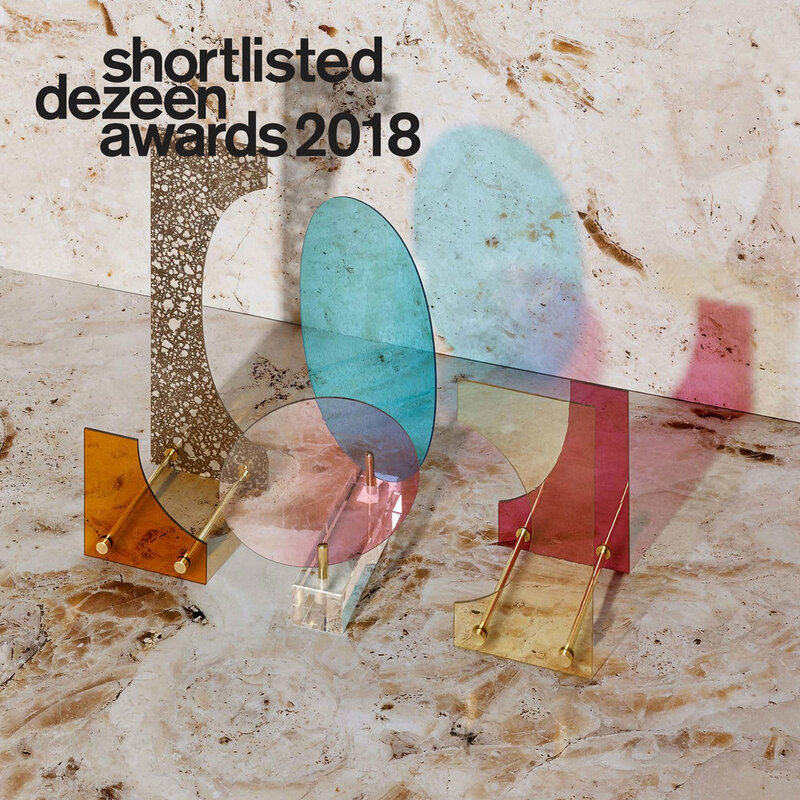 Kaja Dahl is shortlisted as one of six international designers in the category "Emerging designer of the year" for the Dezeen Design Awards. Sightunseen Offsite, New York Design Week 2018. 201 Mulberry Street New York City. Norway&NewYork project collaboration between 7 Norwegian designers and 7 New York designers. Interview with Kaja Dahl by Franca Schneider on the subject of working with "fragrance objects". Fragrance sculptures displayed at European furniture brand Sé and their launch of Collection IV by Ini Archibong. ECAL x Christofle. Dubai Design District - United Arab Emirates. Unika Auction at KHiO, organized by Blomqvist auction house and Designers Saturday Oslo. Nominated in the Best Talent Exhibition 2017, organized by Designers Saturday Oslo. Exhibition during Maison et Objet. Atelier Kaja Dahls participation is sponsored by NAA, Norwegian Art Abroad. Exhibition at Oslo Design Fair with "Everything is Connected"
Nominated for the Bo Bedre design award with "Norwegian Notes"
Nominated in the category of the best craft object. 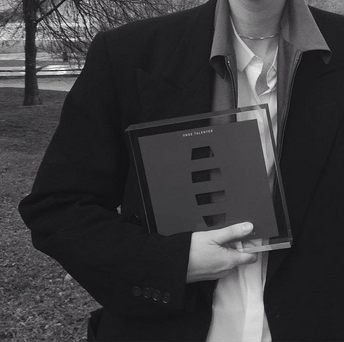 Design magazine Bo Bedre awards Norwegian designers and makers. Showing new scent objects at the design and craft exhibtion organized by The Norwegian contemporary Crafts and Design, curated by interior architect Katrin Greiling. This years speakers' gift is a bespoke, handmade scent experience, that's beyond price. A limited edition of 50 pieces. A project that transcends borders. Natural perfume from Cape Town and mouth-blown glass from Oslo - envisioned and presented by Kaja Dahl, a Global Design Graduate at Design Indaba 2017 as our unique love offering to you. Enjoy! Ravi Naidoo, Design Indaba. Kaja Dahl is one of the recent Global Graduate speakers at this years conference and will speak on the first day of the conference. "Originally hailing from Norway, this product and furniture designer is one of DI 2017’s class of Global Graduates. Having studied in both Norway and Sweden, Dahl holds a master’s degree in Design for Luxury and craftsmanship and her passion for these design aspects is what informs all of her creative projects. Currently specialising in scented objects and perfumery, she is in the process of building an exclusive fragrance that utilises a variety of local ingredients to capture the spirit of the Western Cape." Kaja Dahl is participating in a group exhibition at the Norwegian Royal embassy in Stockholm during the Stockholm Furniture and Light Fair. Curated by Kråkvik & D’Orazio. Atelier Kaja Dahl is relocating to Cape Town during November and December to develop the perfume project, "Tapputi and the Sea". Scent development in collaboration with the local perfumer Agata Karolina who is the founder of House of Gozdawa. FRAME magazine teams up with Eyes on Talents to highlight award-winning designers. Kaja Dahl is one of the five selected designers featured in the September issue 112 under Talents. "Eyes on Talents is a by-invitation-only online platform used by innovative brands to discover and connect with top creatives from a range of disciplines." Exhibition of Materiality Brutality workshop at Vivacom Art Hall in Sofia, Bulgaria. Pecha Kucha at SMDW, Stockholm Midsummer Design Week for Materia. Exhibition design of the exhibition, "Herfra" for DOGA, The Norwegian Centre for Design and Architecture. Invited to One Design Week in Plovdiv Bulgaria for the workshop and exhibition "Materiality Brutality"
Winner of the Norwegian Young talent Award / Unge Talenter 2016. First price in the category aesthetics and form expression. Selected cutlery for Christofle Paris, "Etang d'Or". Exhibition at Christofle showroom in Paris "L'ECAL met le couvert"